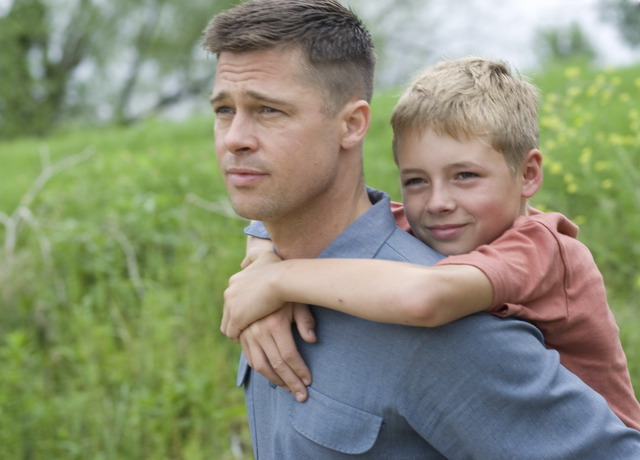 A trailer has been released for the new film by acclaimed director Terrence Malick! He rarely makes films (this is only his fifth since 1973) but when he does they are always amazing. Starting in the 50's, the film follows the journey of eldest son Jack, through the innocence of childhood to his adult years as he tries to reconcile a complicated relationship with his father (Brad Pitt). Jack (played as an adult by Sean Penn) finds himself a lost soul in the modern world, seeking answers to the origins and meaning of life while questioning the existence of faith. The trailer is fantastic, showcasing Malick's beautiful visuals and offering a glimpse at the emotional storyline. Can't wait. Opens May 27th. this looks intriguing. want to know more about it.